Summer hours (Memorial Day through Labor Day): 10 a.m.-6 p.m. 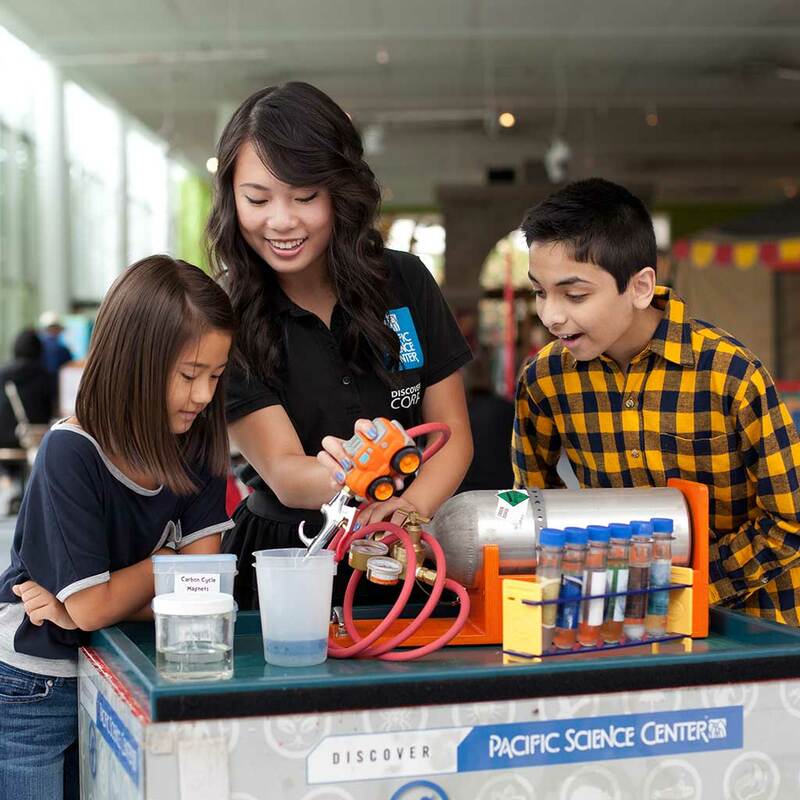 Regular hours: Open Mon-Fri 10 a.m.-5 p.m., weekends and holidays 10 a.m.-6 p.m.
Pacific Science Center brings science to life. 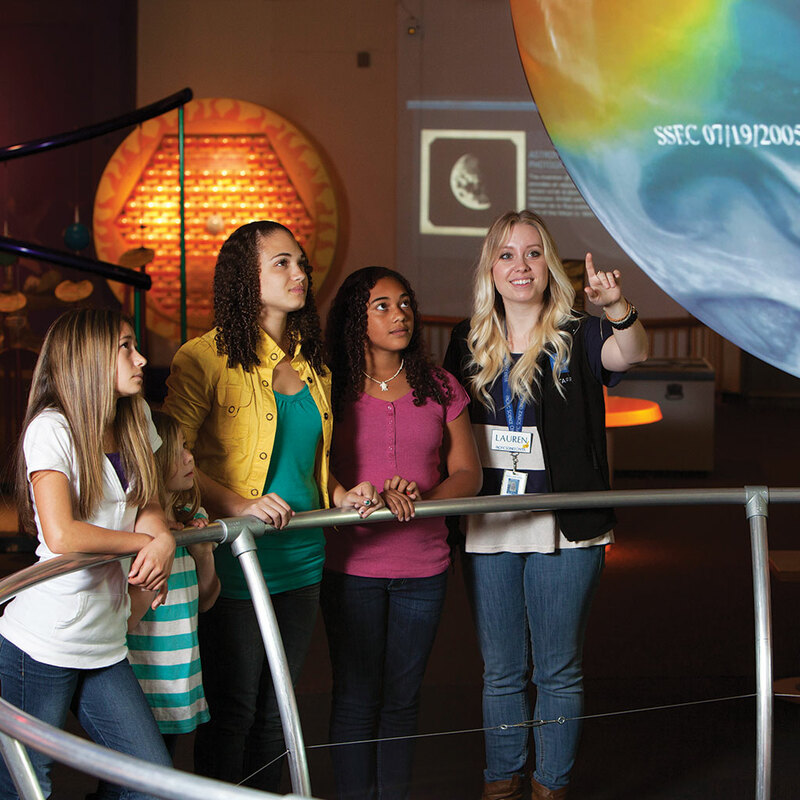 Ignite your curiosity with hundreds of interactive exhibits and experiences. Launch rockets and create electric circuits in Tinker Tank our popular hands-on design space, designed to cultivate creative problem-solving skills through the practice of the design-test-redesign engineering process. Immerse yourself in our warm and sunny lush Tropical Butterfly House full of hundreds of beautiful, free-flying tropical butterflies. Confront a broad variety of mind-bending topics alongside scientists and innovators who are shaping the future. 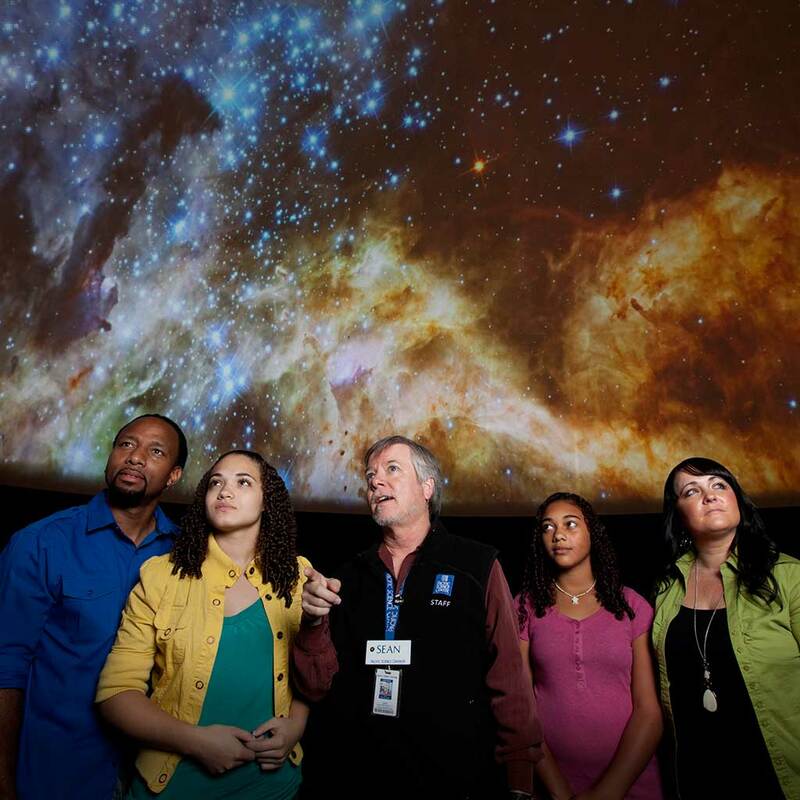 Touch live marine animals in the Saltwater Tide Pool and explore distant galaxies during a Planetarium Show. 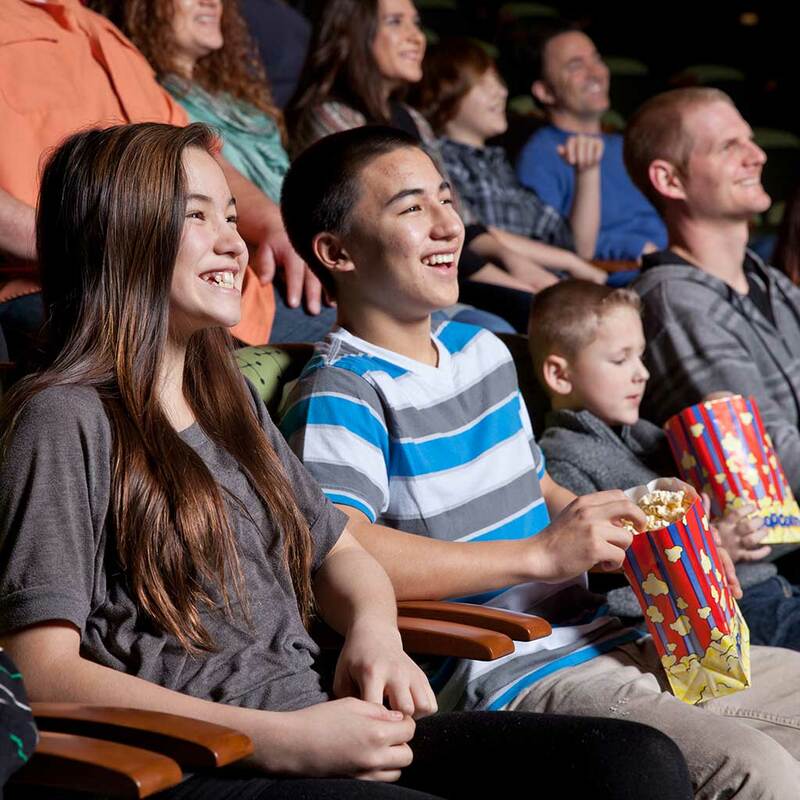 Experience a laser show or immerse yourself in a giant-screen IMAX® film. Get set for an unforgettable day of fun and exploration! Find out what’s new today at pacsci.org. 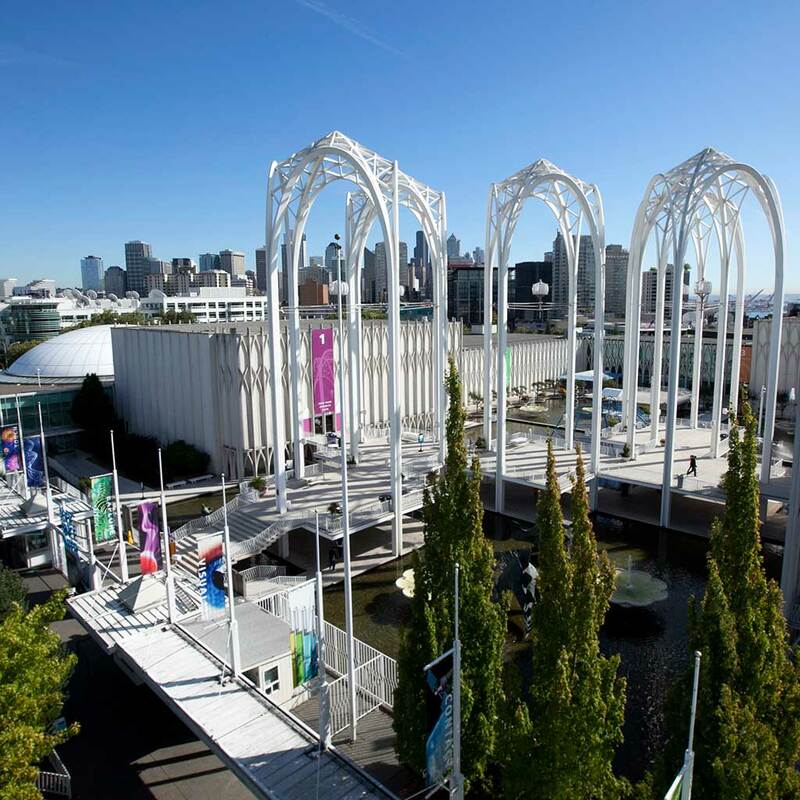 Pacific Science Center ignites curiosity in every child and fuels a passion for discovery, experimentation, and critical thinking in all of us. We bring science to life. Our award-winning, interactive programs reach more than 1.1 million people each year—in their communities, classrooms, and on our campus. Our award-winning nonprofit work has been inspiring lifelong in science, math, and technology among diverse communities since the 1962 Seattle World’s Fair. 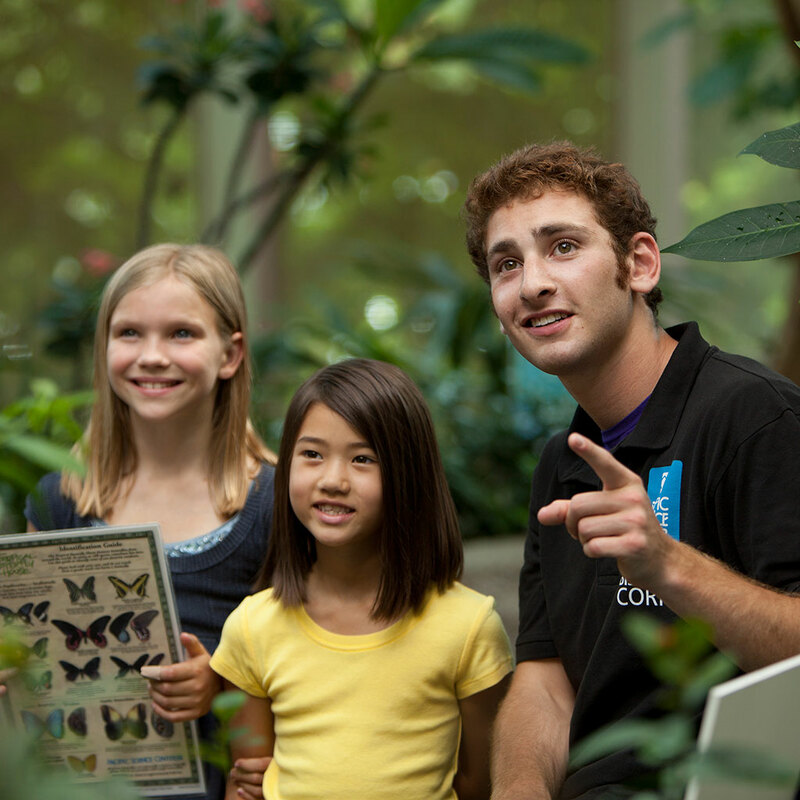 Our main campus is home to hundreds of hands-on exhibits, experiences, and enthusiastic science educators. Plus permanent science exhibits like a tropical butterfly house, a planetarium, state-of-the-art IMAX® theaters and Wellbody Academy for personal health and wellness. We offer nature-based programs through a partnership with the City of Bellevue at Mercer Slough Environmental Education Center, a biologically diverse 320-acre wetland nature park. To learn more, visit pacsci.org.